What Are Some Common Mistakes to Avoid When Borrowing Money? There are many reasons why someone might need to borrow money: to pay off a short term debt, to acquire a mortgage for a house, or just to maintain their week to week spending. However, and while it’s possible to responsibly borrow and manage your finances, there are some common mistakes that need to be avoided when borrowing money, whether that means taking out a mortgage or a payday loan. Maintaining general borrowing habits means never borrowing more than you can realistically afford to repay in the long term; this means taking on loans with the expectation that they’ll be paid off within a specific period of time, rather than allowing debt to build up. You also have to assume that there may be changes to your income that might make it hard to stick to a payment plan. If you can, clearing as much of a debt as possible upfront should be a priority. When borrowing, always check the terms and conditions of a loan in depth, whether they’re being provided by a bank or another lender. Check to see whether you can benefit from a fixed rate, or whether you can potentially save money by taking a calculated gamble on a loan that’s tied to inflation. You should discuss with your lender what the best options are for your income and estimation of repayments, while ensuring that you know what the average APR will be for a loan, and if you’ll be expected to pay any unusual charges. With credit cards, make sure that you’re always able to meet the minimum repayment on an account, and that you can clear as much or all of the debt you’ve built up every month to avoid charges. Similarly, be careful around introductory deals like 0 per cent balance transfers between credit card companies, as these can give you a short period of savings before hitting you with a high interest rate. The same caution should also be used for secure loans, and especially when you’re putting up something valuable that you could stand to lose. Be particularly careful with home equity loans, and ensure that you’re only borrowing against the value of your home and your mortgage in exceptional circumstances. This approach should also be taken when pawning items for a cash advance, and when using logbook loans to borrow against the value of your car. Responsible borrowing should similarly involve knowing and trying to improve your credit rating; with a higher credit rating, you can be eligible for loans with reasonable interest rates and repayment periods. In the UK, this means looking at Experian, Callcredit, and Equifax, which represent the main credit agencies. In some cases, you may find that your credit score is being damaged due to mistakes on forms, or an old debt that you have paid off, but hasn’t been cleared from your record. It’s important to be as clear as possible about the borrowing risks and benefits of short term and payday loans. A payday loan should ideally only be used for covering emergencies, with the expectation that you’ll have to repay it with high interest. Payday loans shouldn’t be taken out if you just want some quick cash; you should also avoid multiplying your payday loans, as this will only leave you with a cycle of debt that’s very difficult to break out of. 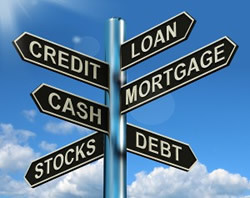 Whatever type of loan you choose, not comparing the market to find reputable companies can lead you into debt and unreasonable terms and conditions. Even if you have been borrowing from the same lender, make sure that you’re aware of other deals and benefits available if you move. With short term and payday loans, using sites like SwiftMoney can provide you with a potentially better loan rate than other lenders, as your application is forwarded onto a range of lenders to create a quote that’s right for your needs.